Three posts in one month - WOW. That's definitely a record for me. Anyway, I am feeling better, but still tire really easily. And, I'm working full time last week and this week 😢 I'm definitely too old for this. Unfortunately my boss is out from some surgery so it's just me. Thank God it's an easy job where I can sit down a lot. So, back to the update. I had an x-ray and CT scan and they showed "COPD" 😡 and a few other really annoying things. I've never smoked or worked around asbestos. Yes, I have an aggravating cough and a few other symptoms, but I do not believe this diaagnosis. Appointment next week with Pulmonologist so we'll see what he thinks. I fell yesterday; tripped over Koda (my little dog who sticks to me like velcro). Not his fault, I obviously wasn't paying attention like I should. Basically landed on left side, so have a few bruises. Worse thing was a "rug burn" on my left arm - about 2" long and it pulled all the skin off. My skin is so thin anyway. I thought I'd never get it to stop bleeding - and it even bled more during the night. Think I've finally got it stopped now. I'm here to tell you that peroxide on a 3/4" x 2" place with no skin - BURNS 🔥 like the very dickens!!! If there was a germ there and it survived it's a lot stronger than I am. 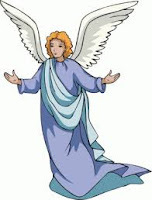 so those angels that "catch me in their hand" (Ps 91) did their job quite well - thank you!